Just in time for the new year, the updated version of the BIOCOM App is out. Now it is easier to find what you are looking for: A full text search is now available. 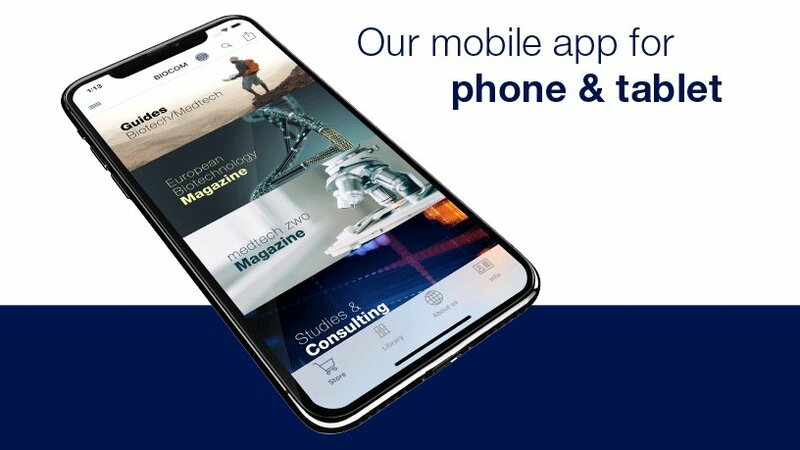 If you are interested in biotechnology, medical technology or the bioeconomy and are often on the road, the BIOCOM App is particularly suitable for you. The latest books, magazines and guides are always on hand at the kiosk. Studies and videos complement the offer. The app is available in the App Store and at Google Play. Study: Financing doubled to EUR1.3bn Who is who in German medtech?